Be Sure To Watch The Companion Video Series On Udemy! In Craft Business Power the founders of Liberty Jane Clothing share their journey to build a profitable online craft business. 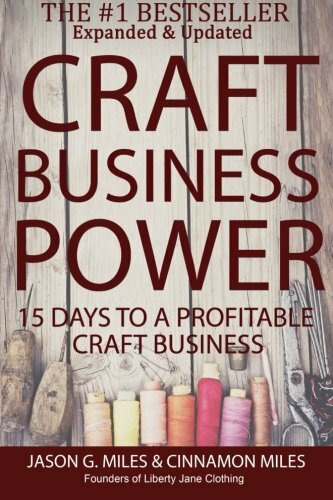 They’ve sold over a million dollars of products online and they outline a 15-day plan for launching a profitable craft business that is easy to follow, filled with practical advice, and proven to work. The revised and expanded 2nd edition is divided into eight core sections each focused on a specific business discipline. With updated facts, figures, and new chapters, the 2nd edition will take the reader deeper on the journey toward craft business success.